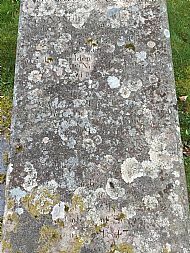 Alexander Macintosh [April 1803-18 Dec 1853] and William Macintosh [1799 - 3 May 1848], brothers from Inverness, were the sons of Alexander Macintosh, a lint [linen] merchant, and Ann Cameron (through whom they were connected to Alexander Cameron of Invermallie, also a plantation owner in Surinam). Both were active in Surinam but Alexander's death certificate states that he had first been in Berbice [Surinam register 1853 folio 317]. William was in Surinam from 1819 [Paramaribo archives, 1825 - Request no. 236]. 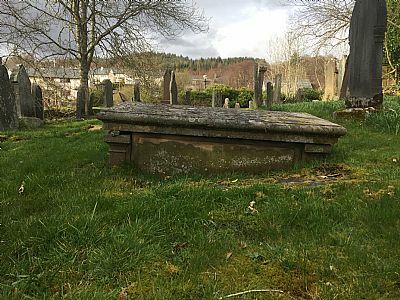 Clyde, Leasowes and Oxford were owned, until his death in 1821, by Alexander Cameron (of Invermallie, Lochaber). His heirs were his brothers Donald and Duncan Cameron, and William Mackintosh. [Research by Philip Dikland posted on Suriname Genealogie]. In 1836 a slave on Leasowes, called Tata Colin, led a rebellion inspired by the ending of slavery in the nearby British colony of Berbice. Colin had been involved in a protest on the plantation in 1832, when news of impending emancipation spread. Those involved were punished and Colin then remained entirely dumb for 3 years - after which he emerged as a visionary leader, singing and predicting the drowning of all whites in a flood. According to Ruud Mungroo's historical novel Tata Colin (Paramaribo, 1982) he was William Mackintosh's slave and Mackintosh is one of the main characters in the book, based partly on oral traditions from Coronie. Tata Colin was was arrested with nine others having been betrayed by the slaves George, from Leasowes, and Evan, from Burnside. 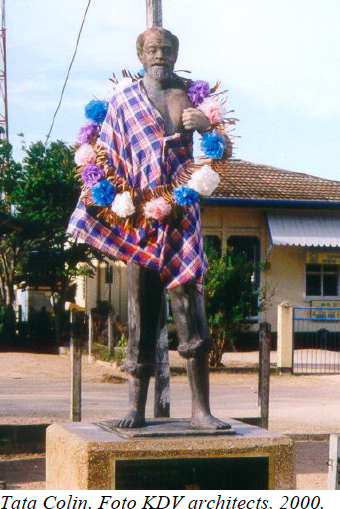 Tata Colin was tried in Paramaribo and sentenced to death by hanging. The sentence was to be carried out in Coronie, but Colin died in his cell. The Tata Colin school at Totnes in Coronie is named after him and on the marketplace there is a statue honouring him.